Attention! 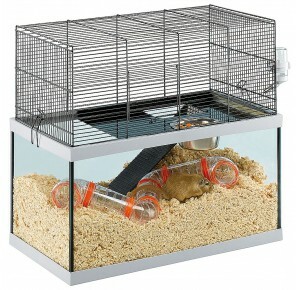 This cage can not be sended. 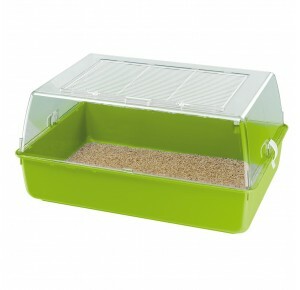 Easy to clean animal cage. 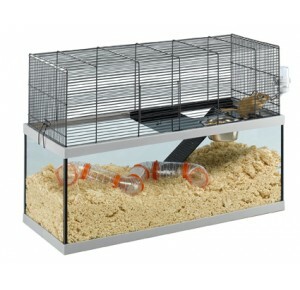 Perfect for dwarfhamsters & mice or temporary accomodation for rats. 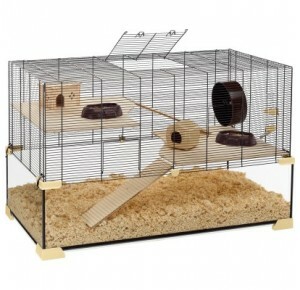 A beautiful and spacey cages for hamsters, dwarf hamsters and mice. 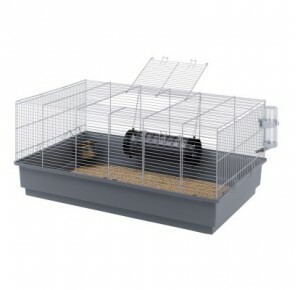 The whole roof can be opened, there are no doors in the cage further. 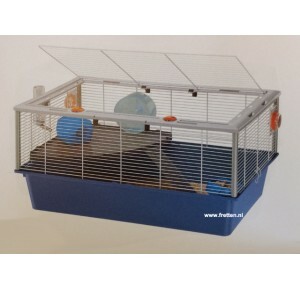 There are 2 connectors already placed into the cage for the hamster tubes of Ferplast. 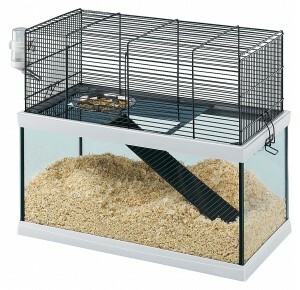 The run-a-round is not suitable for large hamsters. 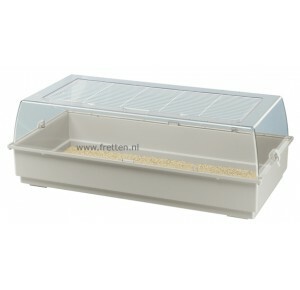 All items on the picture are included. 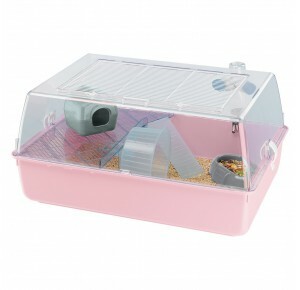 A five-star cage for hamsters! 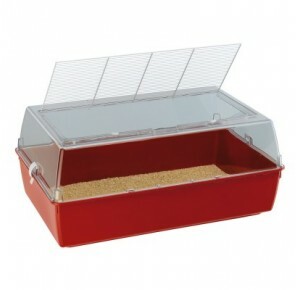 Criceti Deluxe is a solid plastic cage with high bottom of 18 cm, complete with accessories and useful top under which your hamster could find a quiet shelter. 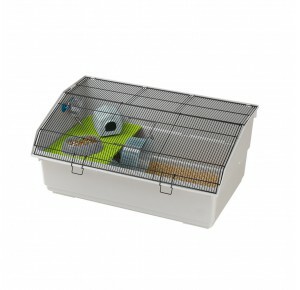 The wire net upper door fully opens so that everyday cleaning operations are made easier.